ON FINE DAYS, THE PEAKS of the Nanda Devi Sanctuary are a ridge of crackled rock and ice between thin-air blue and the rude green of the valley. At the center of the mountain amphitheater, the bliss-giving goddesses, Nanda and Sunanda, tower in quiet exaltation. This is country that you might confuse for a Romantic fantasy; a rendering of the Himalayan sublime. It prompted the British explorer Eric Shipton to remark that "a vision of such a beauty was worth a world of striving." 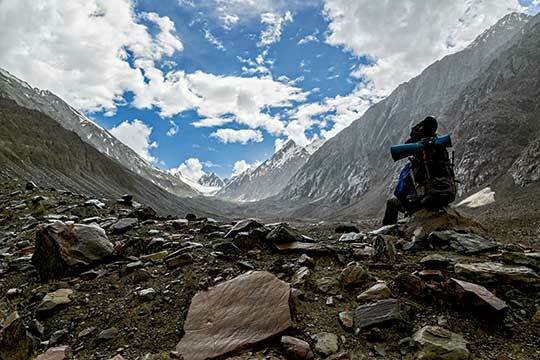 It inspired in the Indian mountaineer Hari Dang "the most perfect peace" he'd ever known.